Note: This webpage is best viewed using Google Chrome or Safari. This repository contains information about non-transiting, short-period, giant planet candidates presented in the following paper: "Supervised Learning Detection of Sixty Non-Transiting Hot Jupiter Candidates," Millholland, S. & Laughlin, G. 2017, AJ, in press. The candidates were identified using a logistic regression algorithm in a supervised learning context. The algorithm was trained to recognize the properties of optical, full-phase photometric variations of short-period planets. It was then applied to search for planetary phase curves within lightcurves of Kepler FGK stars without known planets or planet candidates. Here we provide the details of the 60 planet candidates presented in the paper. Click here to view/download a CSV catalog of all candidates. Click on the individual candidate pages below for plots and further information. 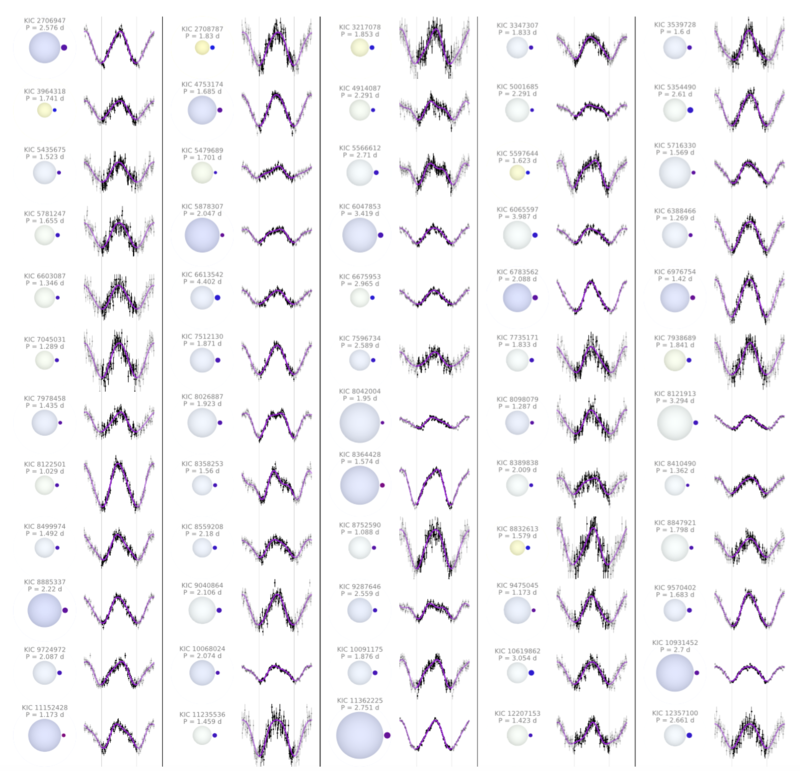 The graphic below shows a line-up of all sixty planet candidates. Click here for a high-resolution version of the figure.